This weekend was the first frost in Sarajevo, and much colder in other parts of Bosnia. In Winter temperatures go down to minus 30 with snow. This is a very bad situation for the thousands of strays (10,000 in Sarajevo alone); and for the animal welfare activists who go out each day and night to feed and help the animals. 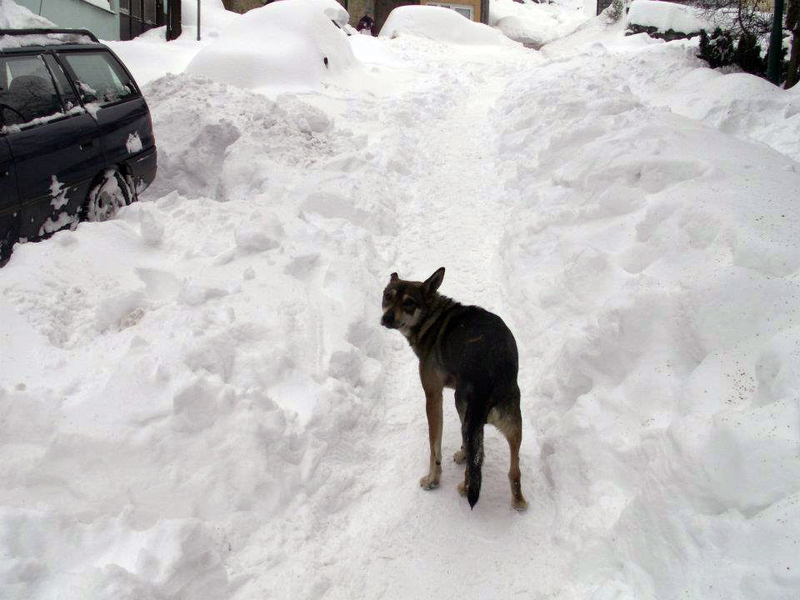 Last winter in Sarajevo the snow was almost two meters high and every day they would find many dogs and cats dead on the streets, dead from starvation or frozen to death. There is no question this winter is going to be as harsh as the previous one. 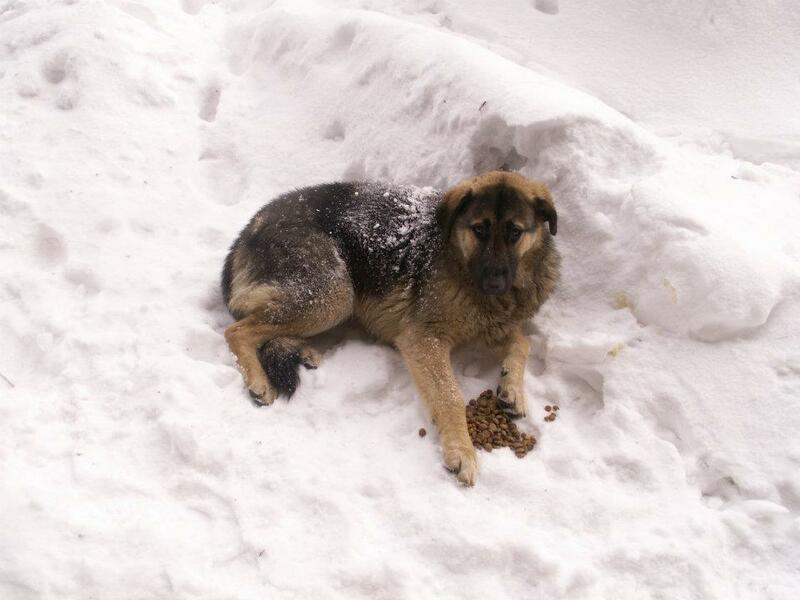 The activists need to start making preparations in order to collect/buy as much dog/cat food as possible so they can face the winter period prepared and ready to help.The number of stray/abandoned dogs/cats in Sarajevo is getting higher every day. 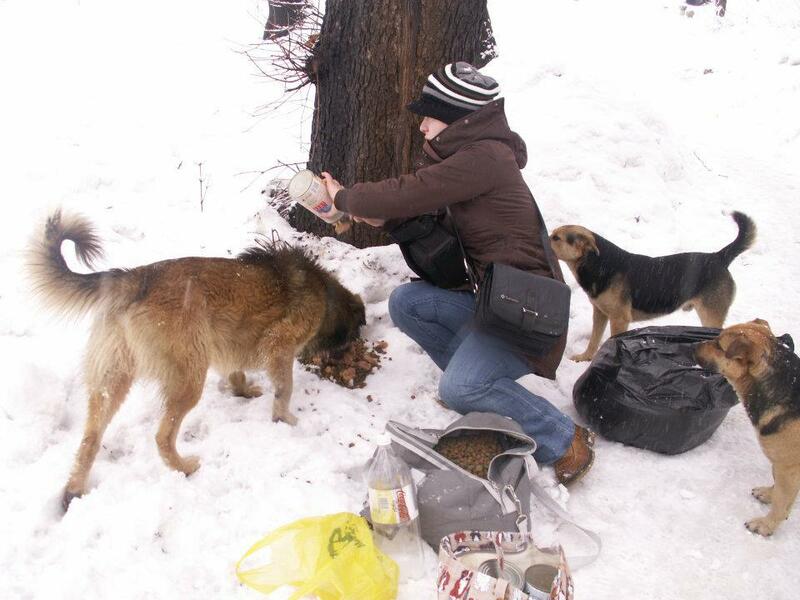 Also, many of those who try to feed the animals are elderly people that just love animals and want to help them as much as they can, not animal activists.The animal activists in Sarajevo usually are aware of these animal lovers and gladly give them the food that they have received through donations. Everyone is in this together and everything that is collected – be it food, medication (vaseline, Frontline, antibiotics, etc.) or blankets, are shared and dispersed among everyone.I cannot emphasize enough the sheer need and desperation of the winter situation. 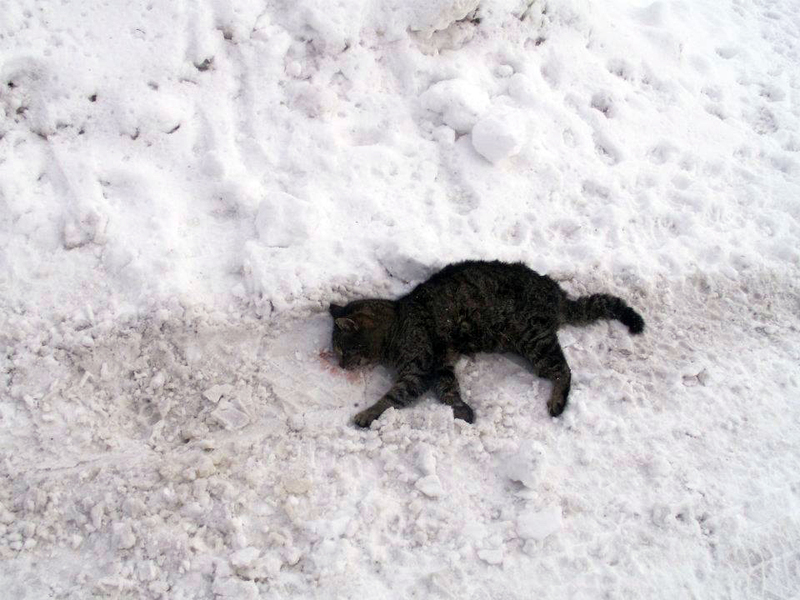 The horror of seeing a dog or a cat lying frozen in the snow because he died out of starvation and cold, cannot be explained with words. 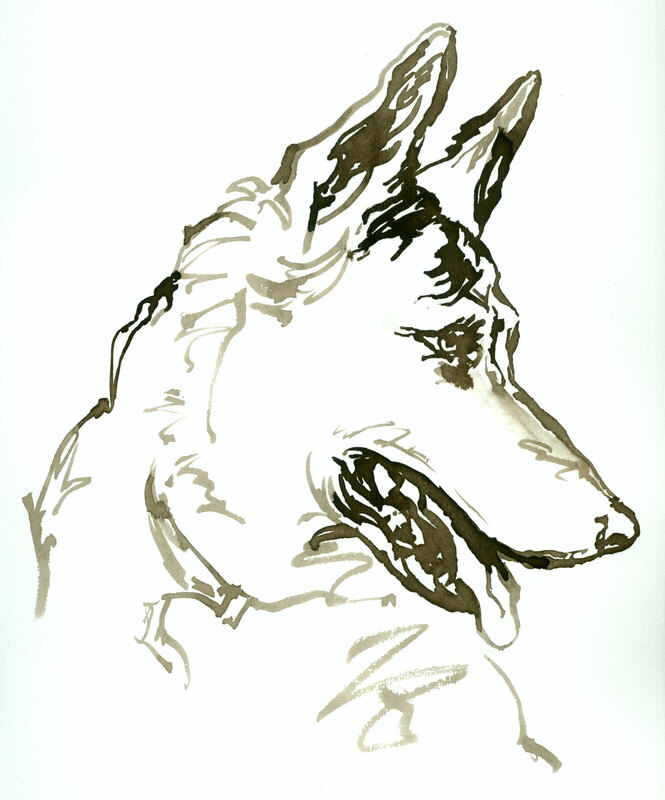 One bag of the cheapest dog food for adult dogs, 20 kilos, is 20€ (about $27). 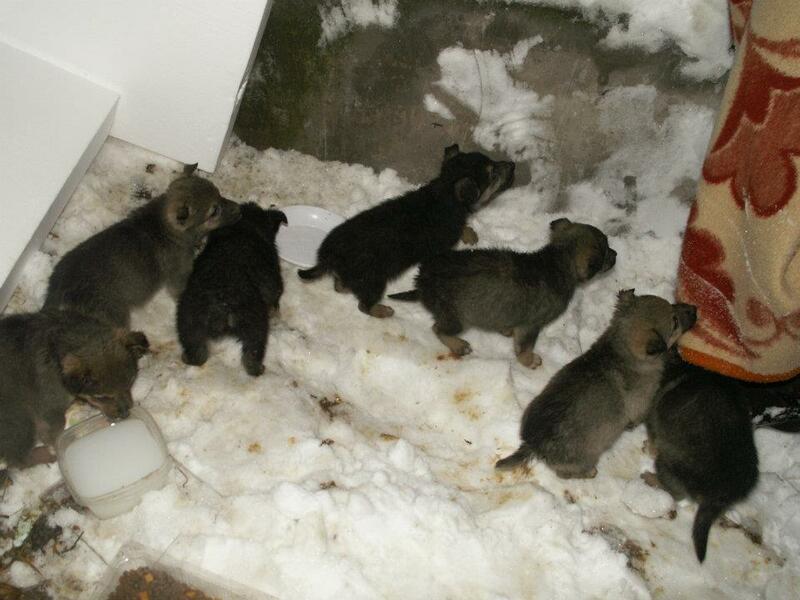 For puppies it is 30 or 40€ ($40 – $55).Please donate – any little bit will help. Make a note in your donation that it is for winter supplies. This entry was posted in Fundraising, Urgent - cats needing help, Urgent - dogs needing help and tagged stray cats, stray dogs, suffering cats, suffering dogs, urgent by Sandra Jensen. Bookmark the permalink. Thanks for helping , will donate by paypal. This is so sad! 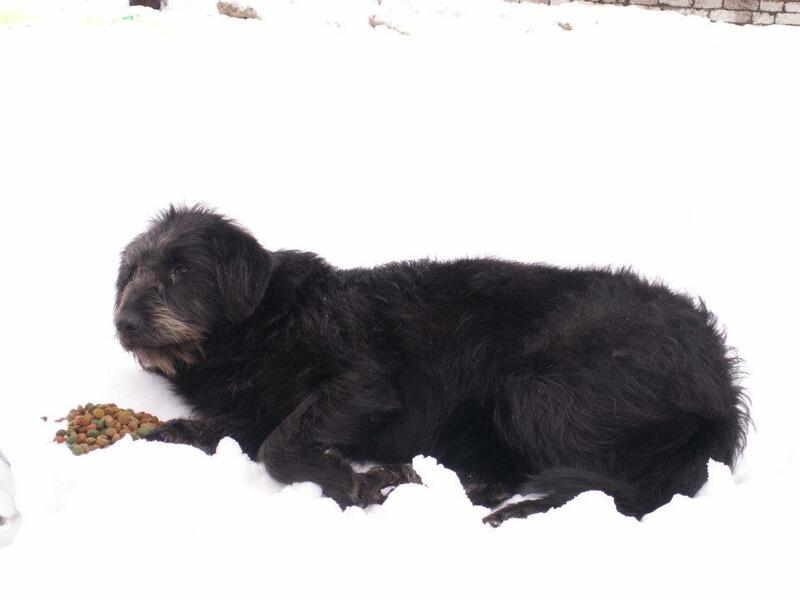 I am helping all I can> I have virtually adopted 3 dogs at Tuzla Shelter and am getting another in Dec. Have paid for houses there and straw and pallets also etc. Wish I was rich! I am sure you do too. Tuzla… I didn’t write about Tuzla… I will ….